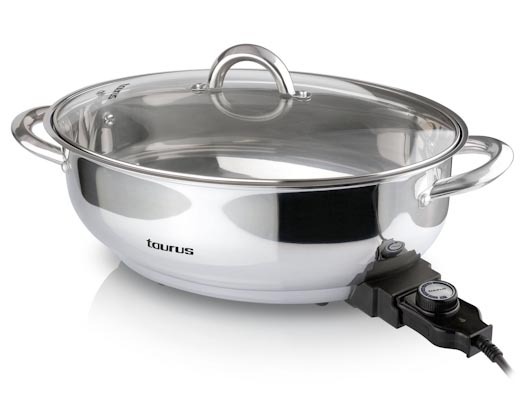 The Inox Torrat roasting skillet from Taurus has a stainless steel body and handles, with a stainless steel knob and adjustable temperature probe on a tempered glass lid. The Innox Torrat is big enough for any sized roast with dimensions of 38.1 x 25.9 x 12.7cm. Die cast stainless steel handles. Tempered glass lid with stainless steel handle and frame. 38.1 x 25.9 x 12.7cm.